US billionaire Warren Buffet says his conglomerate has received a profit boost of $29bn (£20bn) as a result of President Donald Trump’s tax reforms, he says. Mr Buffett, one of the richest men in the world, opposed the plan. In his letter to investors, Mr Buffett said the tax cut accounted for nearly half of the firm’s gain in net worth during 2017. Passing the bill through Congress was a major victory for President Trump. He called it “the largest tax cut in the history of our country” and a gift to the nation. What does Berkshire Hathaway do? Berkshire Hathaway has holdings in freight rail, major insurance companies, real estate, newspapers and utilities. Its investments include Geico, the Kraft Heinz Co, Fruit of the Loom and Acme Brick Company, as well as Northern Powergrid subsidiaries, which serve about 3.9 million customers in the UK. The firm and its subsidiaries employ more than 367,000 people globally. 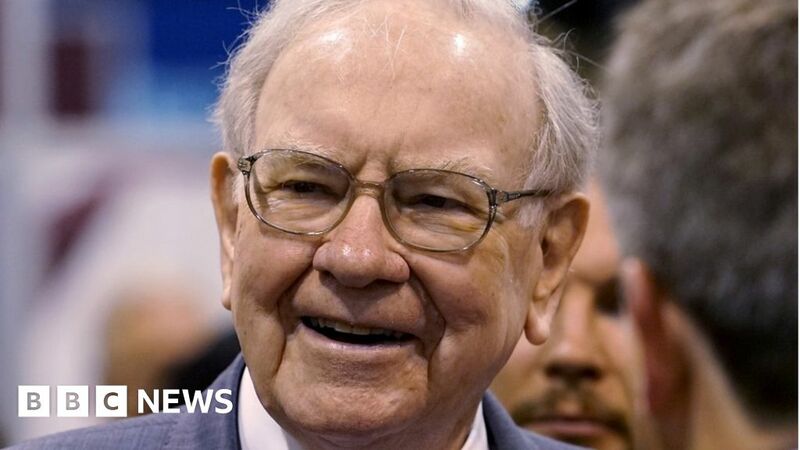 Mr Buffett has led it for more than four decades, making his vast fortune. According to Fortune magazine’s ranking of world billionaires, he is worth $87bn, behind only Bill Gates and Jeff Bezos, the founders of Microsoft and Amazon respectively.